Awesome! You have made your first decision to work with Search and Rescue. You are on your way to some awesome adventures, experiences, and knowledge. Before you get into the field, you must be Callout Qualified(CQ). Callout Qualified enables search and rescue members to go on emergency callouts without being trained as a field team member. It basically means you won’t kill yourself or others when you go into the field for the first time. As a CQ, you will be a supporting role who works under a field team member or field team leader. There are a few steps needed to gain your CQ before you can get out in the field. This may change state to state. 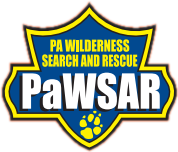 PaWSAR requires CQ’s to come to a minimum of three training exercises before they can get in the field. Pretty simple right? We agree! We want you participating as soon as you can so long as you can be safe.